Next week my husband and I are going to our bank and opening an account for our daughter who hasn’t yet turned four. While some may think at three she doesn’t really need her own bank account I argue it’s never too early. Since she first got her own piggy bank, for her first Christmas, she’s been collecting coins wherever she can find them and placing them in her Cinderella bank. Though they’re mostly small coins, until recently I didn’t realize how many she actually had. It sits on her shelf where she drops the coins in when she finds them. Yesterday I opened it to have a look to realize she’s almost out of room! I explained that soon we will need to work together to roll the coins and take them to the bank. Though she likely only has about $10-$15 it’s something and I want her to understand the importance of saving. More than the piggy bank, a child has their own set of expenses. For us, its ballet and soccer plus the normal kid stuff like growing in and out of clothes way too fast. Until now we’ve just been providing these things out of our account but I like the idea of her having her own account to pay for all her expenses separately. Rather than us just pay for everything when it comes up, instead we will be putting money into her account to pay for these expenses. It helps us budget better by separating her stuff from ours and is helping her learn the value of money at an early age. I think having an allowance is important for a child. Though my three year old doesn’t yet understand that we’re essentially giving her a bi-weekly allowance, it’s exactly what we’re doing. Just like adults, there will be required ‘’bills’’ to pay from her account, in her case registration fees and uniforms, but the ‘’extra’’ will be hers. Obviously she isn’t going to walk into her dance studio at four and pay her bill, we will with the money in her account, which we’ve placed there. As she gets older though she will have more say in the account and as well expectation to open a separate strict savings account (on top of the post-secondary savings account we also contribute to). These are lessons I never had taught to me and I wish I understood the importance of saving early and often sooner than I did. I have vague memories of the local credit union coming in to collect our change in elementary school and balance our account books in the hallway but never really understood why we did what we did. I didn’t realize the foundation it was attempting to lay. 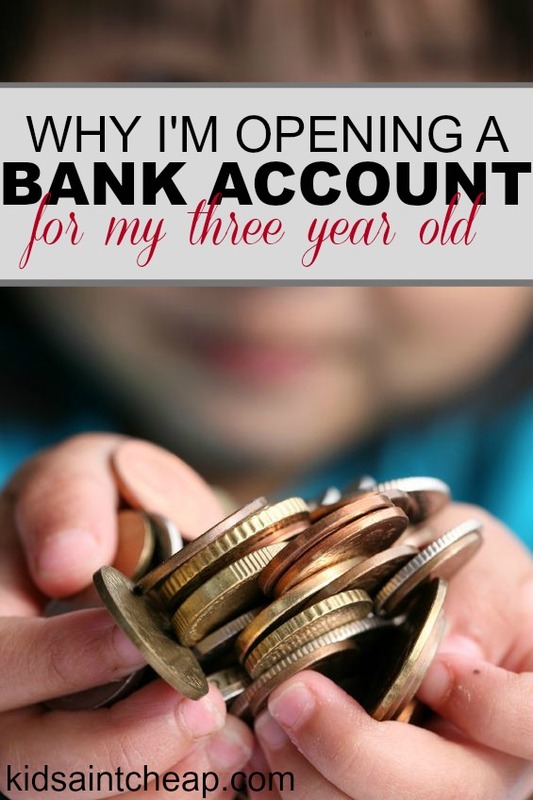 I’m not suggesting that by opening an account at three, our daughter will go through life not making any financial mistakes, there’s no doubt in my mind she will, the difference between her and I though is that she will know the difference when it happens and be able to correct them much sooner which is exactly what I hope to accomplish. How old were your kids when they opened a bank account?